8 yr old girl finds sword in lake while swimming at family cabin. Quite a nice looking piece for being so shallow in a lake though they did say the lake was very low due to draught. Very cool! Look forward to more info when some work on the sword has been done. Hopefully the local museum is well budgeted. Here is some new video, with much better detail and angles from NBC. Obviously blade is still in scabbard with quite a bit of the covering remaining. Will be interesting to see how this comes through preservation and what the details will show. Edit fixed link to go to video that deals with sword find, but they edited out the closeups of the sword. Did anyone keep a copy? I just saw this as well Michael it does look very promising with its context and if it has not been messed with could be very interesting find. Not sure when they would look at a dig of such a find, its one of those big projects. Here is the NatGeo article not as much info as The Guardian though. 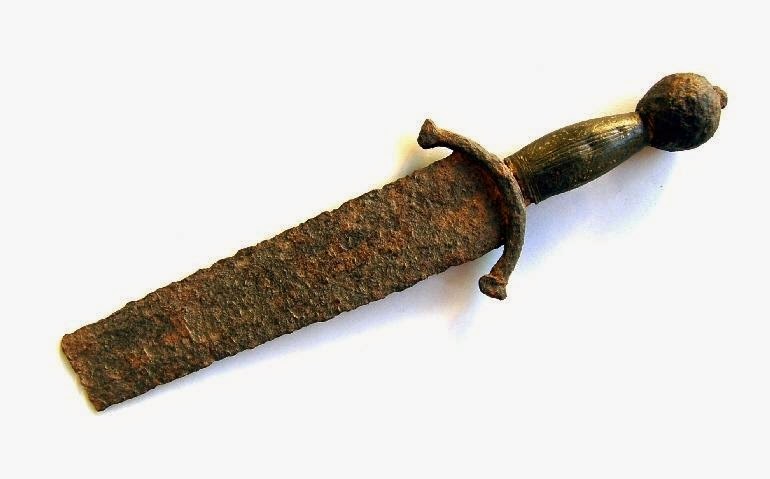 Posted: Wed 21 Nov, 2018 11:27 am Post subject: Viking Sword found in Antalya province. I find this incredibly interesting as it is so rare to find material surviving artifacts from the Nordic cultures in the places like Turkey even though their participation in the historical period is well known. Not to mention the article is pretty well written for a sword find article, Usually they spend most of the article taking about some misinformation or King Arthur here its straight forward and well stated. 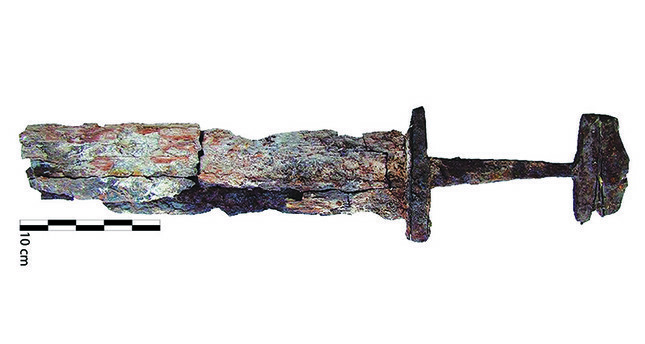 A sword, probably a XIVth century one, found in Ain, Valencia region in Spain. A reason is off course that probably a lot of fakes had been attempted, but each find should be looked in itself and with fresh eyes. The most famous case of fake-or-not is the Kensington stone which most people believe was probably made by the Swedish guy, who found the stone. There is also the case of the Beardmore relics... probably genuine artifacts, but planted by their "discoverer". I have seen these on display in the Royal Ontario Museum. A wonderful find. Similar to a 13th Islamic example from the Archaeological Museum of Seville. Just saw this pop up but it is supposedly already on display so it may have been mentioned earlier. Cool stuff, obviously a major production stock or very rich patron. Thanks Craig, you might enjoy this example from the Alava arms museum as well. 12th century and one of the best surviving examples I know of. Here is an excellent sword found in Denmark recently. Sewer maintenance found it in a layer they say equates to the 1300's. That sword is fantastic. The hilt furniture looks like it could be from the early 14th century, but the blade looks to my untrained eye to be something like a Geibig 5/9/13. Overall it looks to me like the sword is earlier than the 14th century. I could not really find any analogies on manuscriptminiatures.com, nor on effigiesandbrasses.com, though my search as admittedly not really in depth. Does the piece look older to anyone else? Actually you are probably correct since the Danish reports actually says the layers in which it was found fitted with a ~1300 AD date [not broadly 14th century]. They speculate it is when the Danish Marsk [marshall] - Stig Andersen (Hvide) - had been accused for being behind the killing of King Erik Klipping in Finderup Barn he fled to Norway and became allied with King Erik II Magnusson "Priesthater". In 1289 they together launched an attack on Aalborg. Furthermore from the preliminary cleaning it seems the sword contains an inscription [kobber or brass]. Amazing finds and what craftsmanship. Sadly it seems to be a race for archaeologists to recover these kurgan-burials before the looters.